I'd never really thought about it before writing this post, but Uniqlo is where I've bought pretty much all of my staple plains (as in neutral colours tops, dresses and tees). This dress is years old and still looks great, it also doesn't ever need ironing which suits my lazy self to a T. It isn't available now but I did find two extremely similar ones for £10 here and here. Here is a dead ringer from ASOS here too. I also spotted this gorgeous denim tunic from them, which became my sneaky purchase of the week. When you're wearing something as plain as this, it's all about what you mix it up with. I've recently discovered the e-tailer Atterley Road and have been shopping like a mad woman on it for summer essentials. 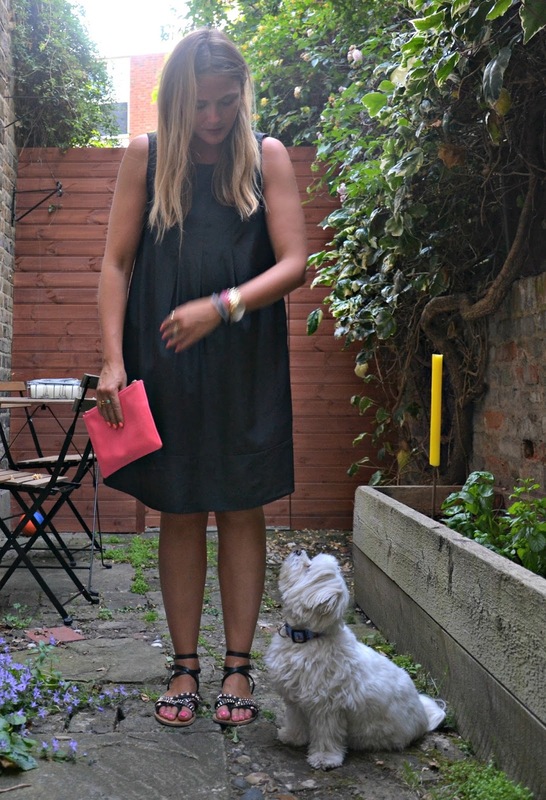 I love my new Whistles clutch, and the sandals have been a surprising showstopper. I've worn them constantly since they arrived and whenever I do, someone (be it via Instagram or in person) asks me where they are from. Once again I was wrestling for the camera's attention with Lopez... But as he turned two at the weekend I guess we can excuse a birthday boy! So much has changed since I got him, but he's remained the constant. Although I have my moments (mainly when he insists on toileting in public places, barking at old dogs, or eating my shoes) Lopez is my little hero and I love him more than words. Two years ago now I could fit him in my hand, he hadn't opened his eyes yet and his paw was smaller than my thumb. Happy birthday little man! Your dog is adorable! I love what you're wearing, I always go back to my reliable basics when the weather is as warm as this. Ah but sometimes the oldies really are the best! I love this post! Uniqlo and Whistles in one post! Uniqlo basics are the best, they last for ages as well so its worth paying a little extra. 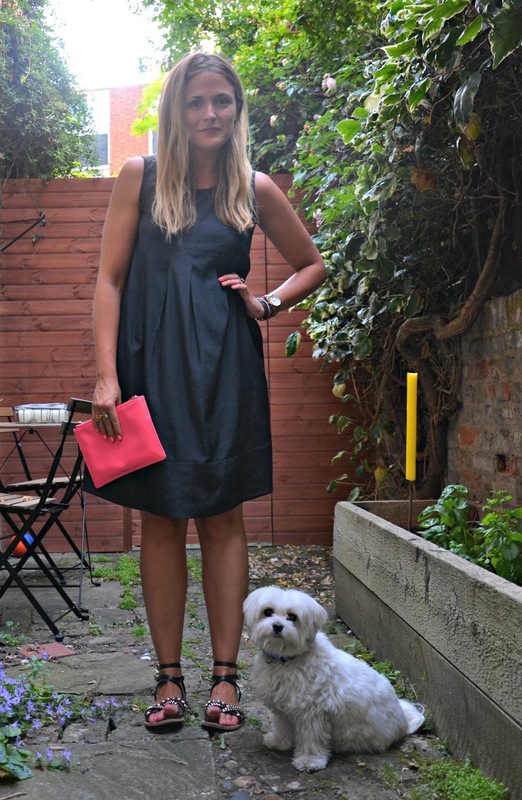 I love your Whistles clutch, I bought a plain black clutch/pouch at Christmas after a lot of deliberation over colour and practicality... but it was one of my best purchases, use it for EVERYTHING; its a purse, bag and clutch!